Hinged design to further restrict movement. Has double lock slot configuration for increased security. 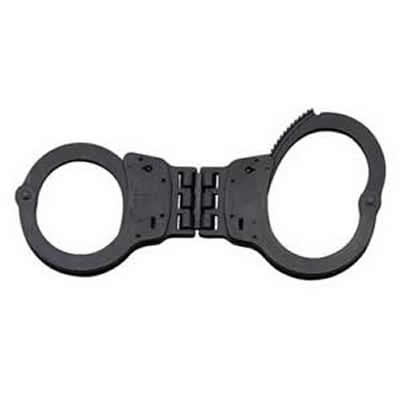 Smith & Wesson Handcuffs are fabricated from the finest quality carbon or stainless steel. They are manufactured with heat treated internal lockworks, featuring smooth ratchets for swift cuffing and double locks to prevent tampering.